Father Gabriel of St. Mary Magdalen, O.C.D. (1893-1953), was a Discalced Carmelite priest, confessor and spiritual director. Most likely a mystic himself, he was also an expert in the writings of such venerated Carmelite Mystics as St. Teresa of Avila and St. John of the Cross. For the last decade of his life Fr. Gabriel was the spiritual director for the Discalced Carmelite nuns of the Monastery of St. Joseph in Rome. It was with their assistance that he compiled his writings and mystical insight, arranging his material to correspond with the liturgical year, while following the ascent of the soul to transforming union with God. This work he titled Divine Intimacy. “We begin with the presence of God, an appropriate thought which brings us into contact with our Creator and orientates us toward Him. “The reading provides the subject for the meditation. And as many spiritual persons apply themselves to meditation twice a day, each meditation offers two points. “The soul then begins to reflect, using freely the text already read. In this way it will pass spontaneously to the colloquy which, according to the Teresian concept, is the “heart,” the center of mental prayer. “That is why our meditations are directed toward helping souls especially on this point. To this end we have tried to give the colloquies a form that is sufficiently ample; nevertheless, they may be used freely as desired, each soul choosing whatever corresponds to the need of the moment. To make the colloquies more efficacious, we have selected suitable ardent expressions and thoughts taken by preference from the writings of the saints and other loving souls. Very often we have been obliged to make slight modifications in these texts, in order to adapt them to the intimate form of a colloquy. However, we always indicate their source in parentheses. “The colloquies consist of expressions of love, alternating with petitions, acts of thanksgiving, and transports of the soul toward God; these are made concrete in the resolutions. The meditations themselves are based on the old, pre-conciliar, calendar. In fact, the subtitle of the collection is Meditations on the Interior Life for Every Day of the Liturgical Year. However, one need not attend the Traditional Latin Mass or observe the old calendar to appreciate them. Indeed, what is most striking for those who regularly read Divine Intimacy is the experiential knowledge and spiritual authenticity evident in Fr. Gabriel’s instruction. While continually demonstrating his familiarity with Sacred Scripture, Fr. Gabriel extensively draws upon the wisdom of the great Carmelite Saints, including St. John of the Cross, St. Teresa of Avila, St. Therese of the Child Jesus and Blessed Elizabeth of the Trinity. It has been over five years since Baronius Press first published their fine edition of this classic. Based on the English language version originally released in 1964, the Baronius edition is leather bound with quality end paper, gilded pages and features two color ribbons. Additionally, its durable binding is designed to withstand years of reading. 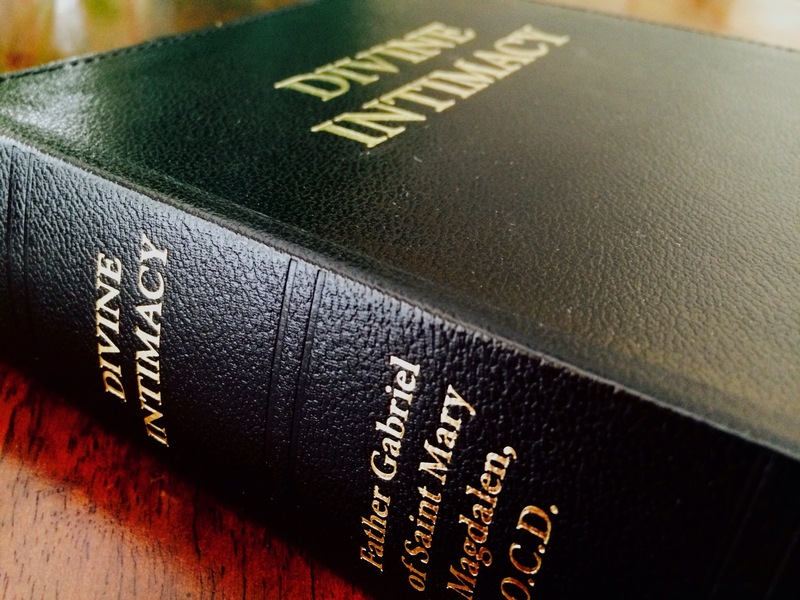 Since I was first introduced to Divine Intimacy two years ago, I have been surprised to find numerous other Catholics who have also discovered this work of Carmelite spirituality. Its depth and authenticity are undeniable. For those seeking divine intimacy, consider allowing Fr. Gabriel of St. Mary Magdalen to be your guide. This article originally appeared at One Peter Five on February 23, 2015.